If you followed my Instagram and Insta Stories you have seen some of my favourite discoveries at Dutch Design week already. Like the last 6 years I spent a full first weekend at Dutch Design week in Eindhoven starting at the Graduation show 2017 of students of the Design Academy Eindhoven, let me tell you something more about my discoveries this week and start with one of my favourite exhibitions! 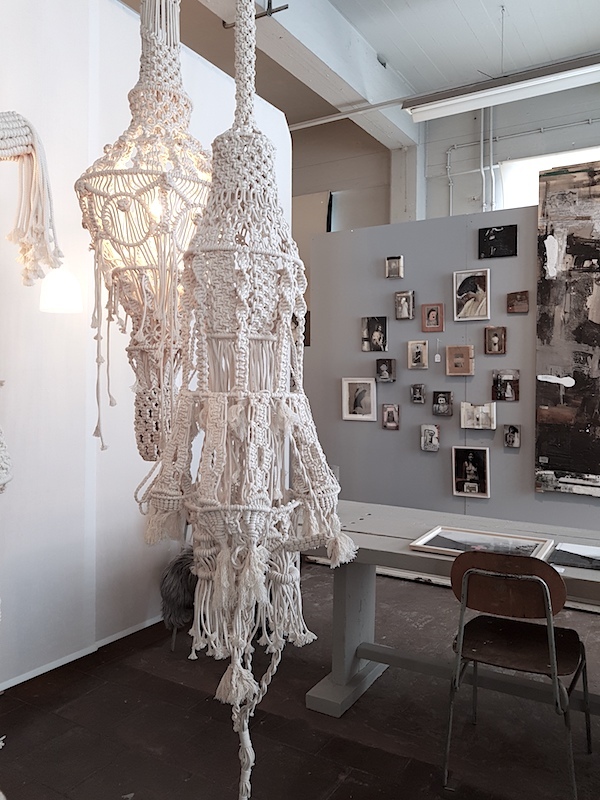 Sandra de Groot, one of the young designers and exhibitioners at Piet Hein Eek was absolutely one of my favourites this weekend, and I can tell you her work was not only spotted by me, but caught the eye of some of the best trendspotters in design land too! 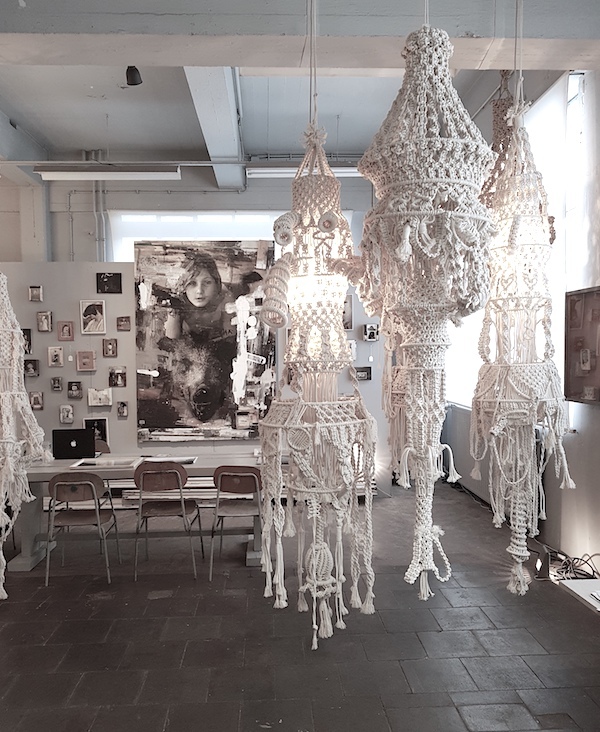 At her exhibition she both showed her photo art as wel as her latest project consisting of a series of knotted lamps. 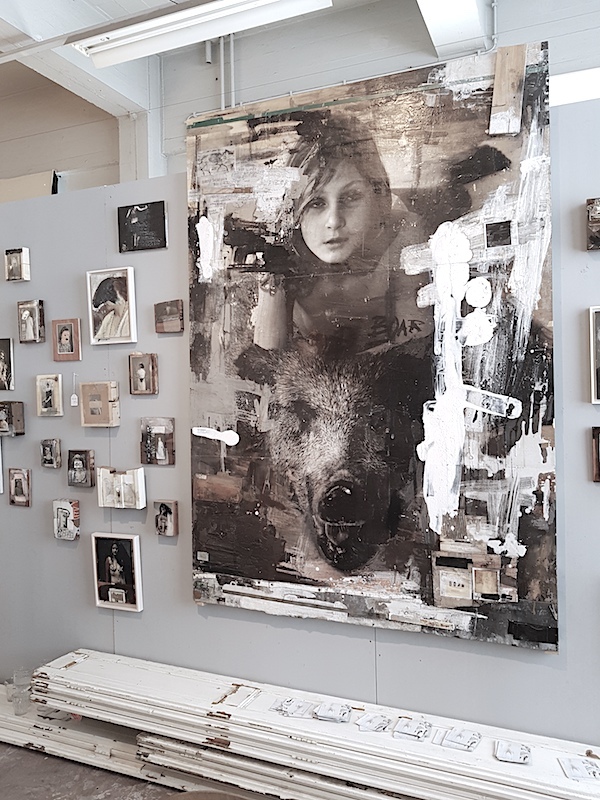 Sandra de Groot [Atelier Chaos] works as a teacher, photographer and artist. Her dreamy black and white art work tells us about emotions, intimacy and sensuality in humans and their apparently (in)visible vulnerability and sensibility versus power and authority. Photos are combined with black paint, text and textiles to make them more powerful. While the strong image in the middle of the exhibition definitely caught my eye I was really fascinated by her knotted lights. These almost surreal looking knotted lights, remind me of the lamps I had at home in the seventies, transformed into an XL and bolder version. 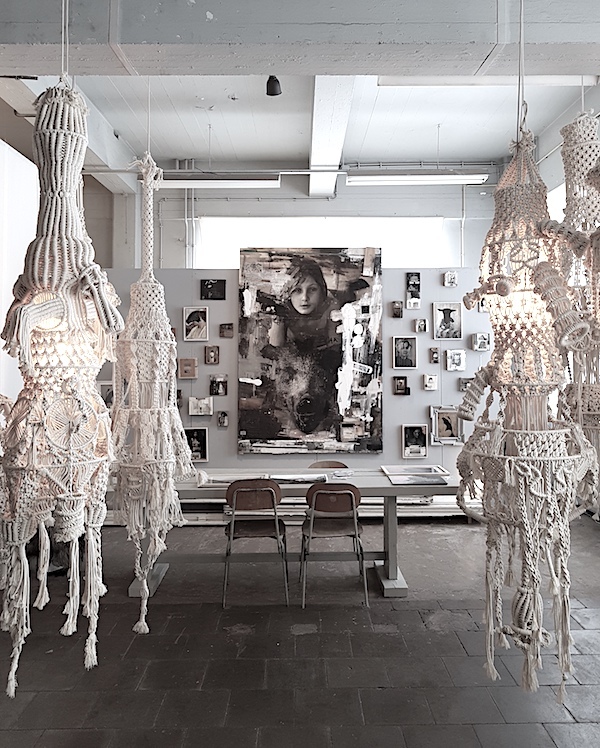 kNOTs' is an investigation in which she studies crafts, techniques and methods both sculpturally and architecturally. By working with natural cotton rope, there is an emphasis on structure, texture and shape. With this collection of kNOTs, Sandra wants to create awareness and let us think about the amount of time and technics by literally confronting us with a large amount of rope and knots.